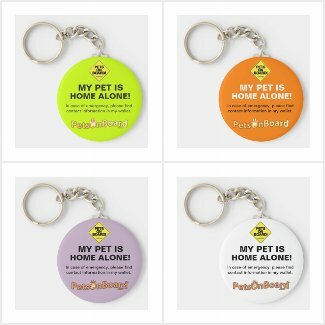 Summary: Pets On Board™ is a small magnetic sign that fits easily on a car or apartment door notifying others a precious pet is traveling with their owner or in the home. The device is comprised of a 4” by 4” sign with a small magnet capable of being attached to a car, truck, boat, or apartment/house door. The device can be an important notification during emergency situations should an unfortunate situation occur. 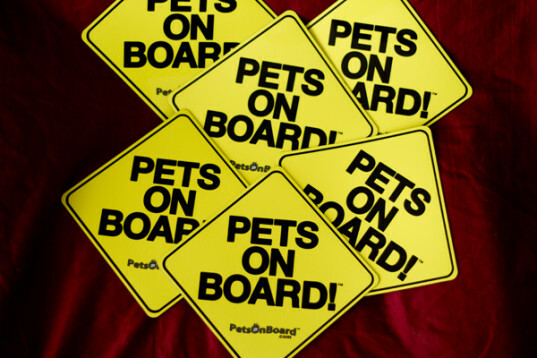 The sign features a bright yellow background color and highly visible, bold wording to notify others of a pet being present. Additionally, various different charitable attributes can stem from purchasing the device—a portion of the sale of this item is currently being donated to a rescued animal shelter. 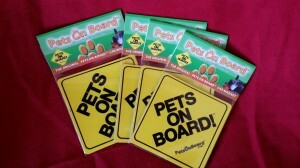 Provides drivers and homeowners with a highly visible sign notifying others pets are in the vehicle or in the house. Shows other people on the road that the driver is a proud pet owner. Utilizes a small outdoor car magnet to attach conveniently to a flat surface on a car, truck, boat, and even apartment/house door. Reminds pet owners to not leave their pets in hot, humid vehicles during the summer months. Often, people can mistakenly leave their pet in a hot vehicle during the summer months. This can lead to unfortunate consequences and be a devastating situation for everyone involved. In the same light, in the event of a fire, earthquake or other natural disaster, a family may need to notify emergency rescue personnel that a pet is still inside the home. Additionally, a safety warning for other drivers may be necessary if the driver has a pet inside a vehicle. PetsOnBoard™ is a small magnetic sign that fits easily on a car or apartment door notifying others a precious pet is traveling with their owner or in the home. The device is comprised of a 4” by 4” sign with a small magnet capable of being attached to a car, truck, boat, or apartment/house door. The device can be an important notification during emergency situations should an unfortunate situation occur. The sign features a bright yellow background color and highly visible, bold wording to notify others of a pet being present. Additionally, various different charitable attributes can stem from purchasing the device—a portion of the sale of this item is currently being donated to a rescued animal shelter. 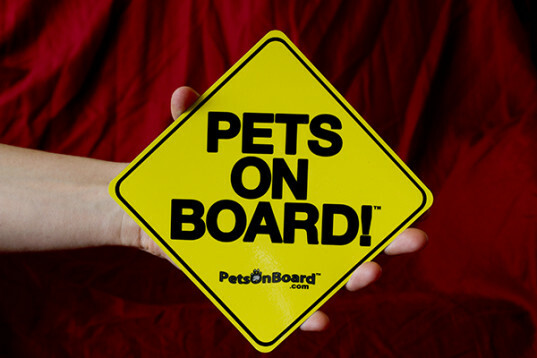 PetsOnBoard™ is constructed using magnetic rubberized plastic, easily attaching to the back of a vehicle without causing any external damage. The sign may measure approximately 4” in length by 4” in width or 5” in length by 5” in width.